I’m a fan of social media, but one day recently, I became quite annoyed at Facebook. After only about ten minutes, I witnessed hostility amongst local business competitors, insincerity in the form of a birthday wish and negativity from the “Debbie Downer” friend we all seem to have. It was a Friday afternoon, and I pledged to stay off Facebook for the rest of the weekend. 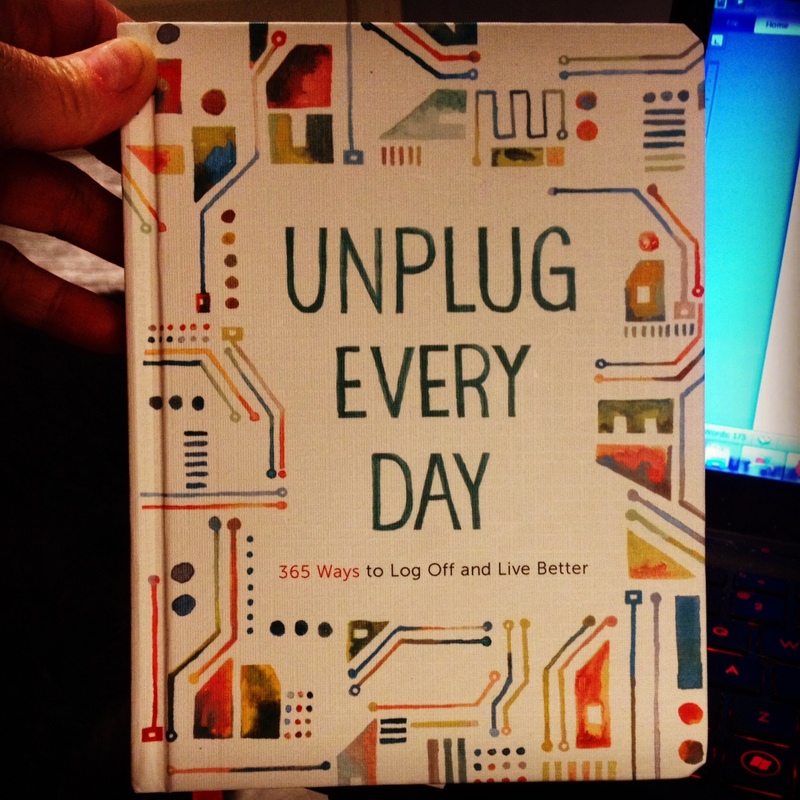 I was wandering through a new shop at Trenholm Plaza the next day and found a great book: Unplug Every Day, 365 Ways to Log Off and Live Better. Finding it was truly kismet, and I quickly grabbed a copy and made a beeline for the checkout. This inspiring and cheerful journal lists 365 fun and easy ways to unplug from electronics, appreciate your surroundings and connect with those around you. With a year’s worth of prompts, I’m hoping it encourages me to take small steps to refocus my attention on life’s simple joys. My first step? Unsubscribe from excess emails. This step is more than a “done in a day” step, but I’m loving it. Today, I unsubscribed from Shutterfly’s emails. I love Shutterfly, but when I need their services, I know where to go. I don’t need what seem like daily email reminders to use them. It felt GREAT to take an extra 30 seconds to simply unsubscribe. I’ll be sure to report back on my efforts to unplug more, but in the meantime, how do YOU unplug? Do you have any family rules about using electronics? Any personal goals to limit social media? Please share your tips! This entry was posted in Advice, Mary Pat Baldauf and tagged Columbia, columbia sc, every woman blog, Famously Hot, hospital blog, Lexington, lexington medical center., lexington sc, Lexington Women, LMC every woman blogger, mary pat baldauf, Midlands, Midlands Women, Social Media, South Carolina, South Carolina Women, unplug, Unplug Every Day 365 Ways to Log Off and Live Better, Women, women's blog, women's hospital blog by lexingtonmedicalcenter. Bookmark the permalink. At the end of 2013, I decided that we would not use our cell phones during dinner. We’ve done well.